Judge Not And Ye Shall Not Be Judged! Each one of us is a precious and unique being, an individual in its own right and by no means some kind of a clone of our parents or other ancestors. Although we have come through this family line onto the Earth plane, we are not of them. This we did because their energies and educational requirement are compatible with and similar to ours and because Karmic links from other lifetimes connect us with each other. Yet, each has their own pathway to walk and earthly lessons to learn. Because everybody has different sequences of lifetimes with ever varying types of learning behind them, it is hardly surprising that the perception of life of each one of us is somewhat different from all others. What makes us recognisable as human beings is not merely the outer form of our physical body, but the inner ability of thinking and making conscious decisions. It is being capable of making mistakes and learning something from every experience, so that we can do better next time we try. Through this we gradually grow in wisdom and understanding. Although during the earliest stages of our development as earthlings these aptitudes are still limited, they are there – if only in seed form. We are still human beings, i.e. a human spirit and soul who temporarily finds itself enclosed in the outer form of a physical body and in a material world, which it does not understand. This creature, the same as every other human being, is a spark of the Divine, a child of God who contains all characteristics of its Divine parents, though at first only in seed form. The best and the worst is in all of us. The higher and highest aspects of our nature take a long time before they can come into the foreground of our consciousness and begin to come alive and develop. Before this can happen, the lower and lowest parts of our nature have to be explored and experienced with all its consequences. 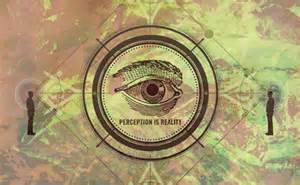 That is how it comes about that we all view everything that is in our earthly existence somewhat differently from everybody else. There are as many variations on this theme as there are souls and that includes those who presently dwell on the other side of the veil of consciousness that separates our two worlds. No two people are exactly alike, not even identical twins. Although on the outside it may be hard to tell one from the other, inside they are unique beings. The Karma of no two people is identical, because we all have gone through different experiences and therefore reached a dissimilar evolutionary level. All of us have only one window to view our world and through which the world sees us, and that is our own. The Ascendant in our birthchart is a symbol of this window, which is coloured by the energies and qualities of the sign at its cusp. The first house is the Ascendant and describes the physical appearance of the small earthly self, its demeanour and vitality, personality and instinctive behaviour in its encounters with the outside world. It could be said that in some way the Ascendant is the most important part of the birth chart, because it represents our outer personality and acts like a mask we show to the world. One might think of it as a window through which we view the outside world and the way this world sees us. It is the filter through which all learning experiences of our present lifetime have to pass, to enable the inner self to assimilate and digest them. Through the daily experiences of the earthly self the psyche restlessly searches for enlightenment that can only be found in a better understanding of its own nature through the people and situations that are coming its way. The Ascendant describes the part where our earthly self meets life head-on and sometimes collides with it. When this happens, it is helpful to bear in mind that this part of our being is but a mask and as such should at all times be worn lightly. Those who identify too much with their mask, i.e. the outer personality, run the risk of forgetting who they truly are and what one fine day they are sure to be again. This true spirit and higher self, however, cannot be found by any earthlings who are as yet unaware of the existence of such a part. As ever, awareness is the key for unlocking this particular door to another aspect of human consciousness. Each one of the twelve Sun signs of the zodiac and the house position of our Sun in the birthchart also reflect a different attitude towards life and all it contains. Possibly the best example of this is the polar opposition of Aries and Libra. Read more about this by following the link at the end of this chapter. The zodiac is a symbol of the wheel of life or fortune. Round and round we go on this wheel, one lifetime after another. On every one of these journeys of exploration we first encounter the get-up-and-go Aries, where the Sun is in exaltation. Here the life force supplies us with sheer endless amounts of vim and vigour, zest for life and enthusiasm for adventuring and treading new paths and scouting out uncharted territories. But there eventually comes a lifetime in which we reach the polar opposite of Aries and that is Libra, where the Sun is in its fall and not much zest for life is left in us. A certain world-weariness creeps into our being and that is because our Highest Self is beginning to prepare us for our final departure from the Earth plane. We may feel an almost irresistibly strong yearning for home and mother. When in the end we can do nothing but give in to these feelings, we may find to our greatest disappointment that our earthly mother is not at all the one we have been looking for. Our perception of life changes most profoundly as soon as our earthly self re-awakens to its true nature. With this comes a fresh understanding of the purpose of our earthly existence, as well as the nature of all feelings of yearning. With great clarity we suddenly realise that our deepest innermost longings for home and mother were never meant to be fulfilled in earthly life. Our small self’s craving ceases with the awareness that all along we have been dreaming of going home to our true home and parents, the Great Father/Mother of all life. Through our attunement and reconciliation with God, our soul finds peace and healing for the deep inner wounds which the disappointments of our earthly existence once left behind in its memories.